Find Atlanta, GA Condos for sale. View Photos, Maps and MLS Data Now! 2 Car Garage, W/ Additional 2 Car Carport. MLS#6539658. Harry Norman Realtors. 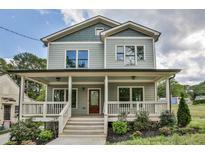 Riverside - Super Convenient To Atlanta, West Midtown, Future Westside Quarry Park, Belt Line Access! MLS#6539978. Atlanta Communities. The Location Is Perfect For Easy Access To The Highway, Grocery Stores And Schools. MLS#6539993. Palmerhouse Properties. Stunning Kitchen W/ Bosch Appliances, White Cabinets, Quartz Countertops, And Open To Lvng Room W/ Elec Fireplace. MLS#6539855. Redefy Real Estate. Master Upstairs With Oversized Walk-In-Closet And Master Shower. Hardwood Floors Thoughout. MLS#6539825. Palmerhouse Properties. Old Fourth Ward - Best Location To Live On The Beltline! MLS#6539820. Compass. Magnolia - Let'S Make This Your New Home For Life Time ! MLS#6539869. Atlanta Maxim Realty International. You Don'T Want To Miss This Gem. 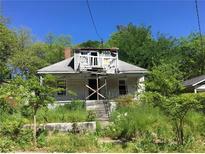 MLS#6539796. Palmerhouse Properties. Home Has Been Gutted And Is Ready For Your Vision. Broker Related To Seller. MLS#6539818. Lula Realty, Llc.. Unlimited Possibilities To Craft This Into Your Dream Home, Perfect For First Time Home Buyer Or Investors Looking To Increase The Value. MLS#6539586. Jar House Llc. Separate Dining And Butlers Pantry Open To Secret Garden. MLS#6538390. Berkshire Hathaway Homeservices Georgia Properties. There Is A Two Car Garage With Spacious Carriage House Above It. This Is Special!! ! MLS#6539557. Dorsey Alston Realtors. New Control4 Technology For Music, Lighting And Pool Systems. MLS#6538395. Berkshire Hathaway Homeservices Georgia Properties. 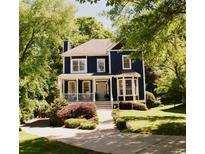 Olde Wieuca Mill - Must See This Home In Person! MLS#6539013. Keller Williams Rlty-Ptree Rd. Glenwood Park Offers Beltline Access, Restaurants, Shopping And A Pool. MLS#6538048. Compass. Steps To City Walk, Dining, & Shops; Convenient To 400 & 285 MLS#6536255. Atlanta Communities. 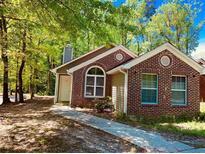 Highland Park - Upstairs, 3 Generous Bedrooms ( Huge Master ) With 2 Full Baths....Lowest Level Is A Perfect Home Office W Full Bath Or 4Th Bedroom..Home Includes 2 Car Garage. MLS#6539347. Engel & Volkers Atlanta. Incredibly Unique Architectural Features W/Koi Pond MLS#6539474. Jds Real Estate Services, Inc..
Property Is Only Minutes From Vinings Jubilee, The Battery At Suntrust Park, Midtown And Downtown Atlanta. MLS#6539255. Keller Williams Realty Signature Partners. Attached 1-Car Garage. Fenced Yard. A Total Jewel! MLS#6530339. Dorsey Alston Realtors.